SRM University sets SRMJEEE 2019 Eligibility Criteria for all the courses. 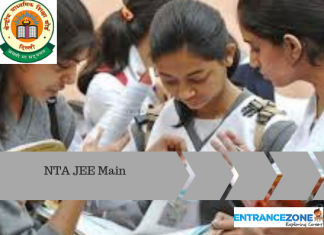 Candidates must check the SRMJEEE 2019 Eligibility Criteria before filling the application form. Read the article below for relevant details about the SRMJEEE eligibility criteria. NRI, PIO, OCI are also eligible. Also, Admission to B.Tech program and all other courses require the candidate to have minimum 60% aggregate marks. For other three campuses and SRM University Haryana. The candidates who have taken the exam must have Physics, Chemistry, and Mathematics in 12 class. 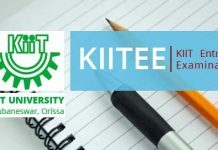 For admission in Biotechnology, biomedical engineering, bioinformatics, and genetic engineering disciplines of B.Tech. And, for various other programs in health sciences. A candidate must attempt SRMJEEE in Physics, Chemistry, and Biology. It is the responsibility of the candidate to check. whether they fulfil the eligibility criteria or not. The candidate must have Physics, Chemistry and Mathematics / Biology / Botany & Zoology/ Biotechnology as an important subject from all the options in the board. Candidates should carry their original documents. while visiting the Institute for final admissions. In addition to these documents, the hall ticket is required in print. The printout of the hall ticket can be taken from the official website of SRM University. For admission to Kattankulathur campus B.Tech program. the candidate must have passed 10+2 or its equivalent. and for all programs: a minimum of 65% marks in mathematics, physics, and chemistry. And, for biotechnology, biomedical engineering, and genetic engineering. minimum 65% aggregate in Mathematics/Biology, Physics, and Chemistry. According to the latest notification for the new academic year 2019 the eligibility criteria for SRM Ramapuram, Vadapalani and NCR, Delhi campuses is 50% aggregate in Physics, Chemistry and Maths. For Kattankulathur campus the eligibility criteria is minimum 60% aggregate in PCM. 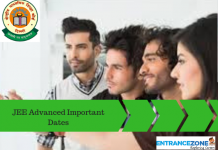 SRM University sets SRMJEEE 2019 Eligibility Criteria for all the courses. The Candidates must check the SRM University Admission Criteria before filling the application form. Next articleHow to Crack SRMJEEE – SRM University Entrance Exam?